This dapper little dandy is from the Baby Shoe collection by Aaron Basha. 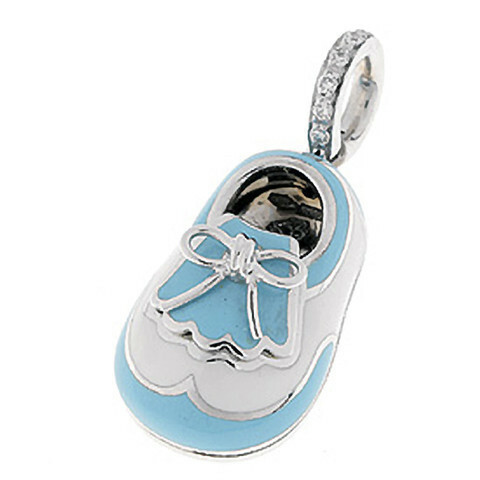 With a highly polished shine, the 18kt white gold charm is coated with a light blue and white enamel. A brilliant shine comes from the sparkling white diamonds on the bail that holds this piece on the charm bracelet or necklace. Bring in some old world allure to commemorate the birth of a new baby with this delightful Aaron Basha piece.